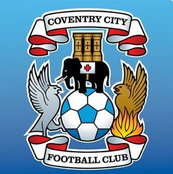 Discussion in 'Coventry City General Chat' started by covboy9, Sep 16, 2018. Covstu and covcity4life like this. I loved watching O’Brien. Exciting player who made things happen. Created chances and scored goals. We have Jones Allasani bayliss andreu Thomas Shipley for winger and amc roles. He's scored 3 goals since he left us and didn't score in 29 appearances last season. I think we saw the best of him and that was only in bursts. He always worked hard but had no positional sense and often caused us more problems than he solved. Covskyblue and eastwoodsdustman like this. Nah, we have Thomas, with Allasani in reserve. Indeed. Just got player of the month for Motherwell didn’t he? I thought everyone needs to move on from ex players Adge pal? Practice what you preach and all that..
I’ll take it on board-fancy joining me? I’m in if you are? It’s not me who said it. I just find it funny how when someone mentions Maddison or Wilson you say everyone needs to move on as they no longer play us but you constantly want to mention Jordan Clarke and Bigirimana who no longer play for us. Dare I say the former don’t fit into your agenda? Most people see it, it’s not just me. Even on a thread nothing about Bigirimana you mention him, why do you follow his career after us if you hated him when he was here? Yeah that’s me-an astounding hypocrite. Wouldn't get into our team. Shhhhh-say it quietly-wouldn’t want to upset the natives. Another of the ‘he runs around a lot & gets stuck in’ fans favourites. One of the best City players in the last decade-you’re having a laugh. He wouldn’t even make the top 50. Modern footballers need brains these days and when JOB was at City he was bloody infuriating. He might well have scored a few important goals but also was responsible for quite a few against when he was hopelessly out of position due to a complete lack of position. cc84cov, eastwoodsdustman and Westendlad like this. Yes I have to agree his positional sense was poor but was always shouting and pointing at others about where they should be. Coincided with the loss of form that season. Coincidence or a measure of the effect he had on the team? I particular remember the game against Shrewsbury that season where we were 2-0 down at half time. JOB came on as a sub at the start of the half and completely changed the game as we won 3-2. Apologies. You are right. Came from 2-0 down to win against them two seasons in a row. He was a good player, on and off, but too much of a disruptive influence in the changing room I think. Yes I recall the game tho as since stated was against Peterborough, great come back. I’d say it was more coincidence to why we fell away but obviously the case is there to say he was part of the side that started the season so well. Other factors were more influential to why we fell away that year for me. Poor man's Paul Telford and that's pretty poor. Don’t remember Telford-was he any good? ccfchoi87 and steve cooper like this.